Mariaglorum presents the next exciting chapter of their classic series Mystery of the Ancients! 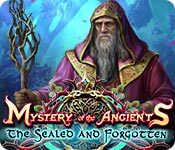 Mystery of the Ancients: The Sealed and Forgotten is rated 3.8 out of 5 by 12. Rated 5 out of 5 by denniann2 from a good game you are searching for why the people are disappearing and you get help along the way if you give them help. finally you catch up with the one doing it but you have to stay with her because she has your friend and is taking him all over the place. good hint system. i played on casual. i had to skip most of the mini-games. i can see another one. 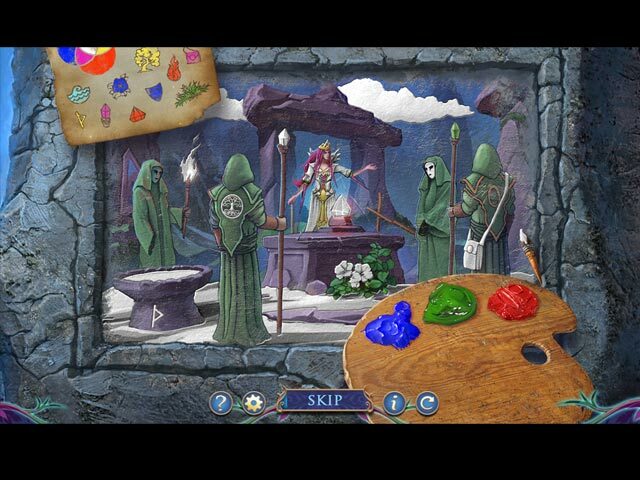 Rated 5 out of 5 by diamond_dust38 from Mystery of the Ancients: The Sealed and Forgotten I enjoyed this game. 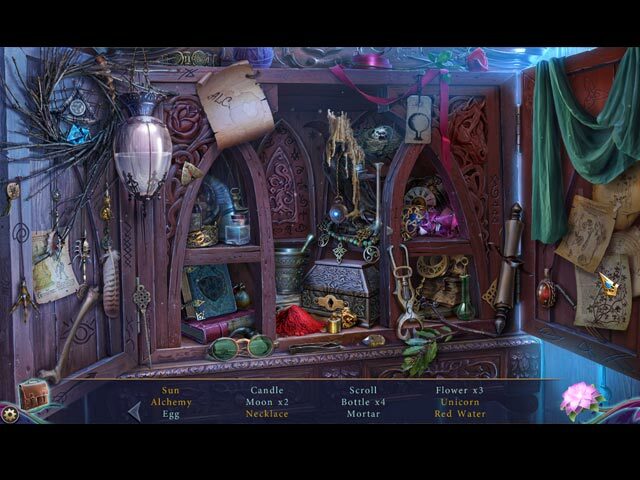 I have played the demo of all the Mystery of the Ancients game and have found them all to be good games to play. Had no troubles with the game and I enjoy the little helper in the game. Hope this helps you to try the game and see how you like it. Rated 5 out of 5 by ninja226 from If only all HO games were this good I was pleasantly surprised by this game, but especially impressed by the quality of the artwork, voiceovers, animation, and long game play. Love the artwork and sharp, clear, high definition images, bright, vivid colors of the interior scenes and imaginative mythical land traversed shortly into the game. Most of the mini games are easy, except for the bubble shoot and pinball game, which forced me to skip. I play with few hints, and was able to intuit most actions without help, which is always a plus IMO. The story itself is a bit farfetched, but the imagery is what drew me into this imaginary mythical kingdom. I wish all devs would take lessons from this game to provide super high quality images for this type of game play. It's not very realistic when the images are low res. I had a lot of fun with the game and enjoyed being immersed in the story. This game deserves a good look. I forgot, The game features a super cute wood elf helper, who gets the heroine out of all sorts of jams. Rated 5 out of 5 by greenshade from Easy but fun game In the mood for a relaxing, easy game I put this on my "buy as an SE" list and glad I did! Found our detective a little irritating as he stood around doing nothing until later in the game when it was revealed his true purpose. Loved my little helper... he was quiet and performed his actions in a cute way. I felt it was a long game.. several times I thought it was the end only to discover there was more. I am not a puzzle person so was pleased to be able to actually do them without automatically skipping. HOs were great.. varied. Wishing now I had purchased the CE.. better than most. I will probably replay this game in the near future. Rated 4 out of 5 by Pilot1 from It could have been better, but it's okay. As usual, I’ll leave the play-by-play to those who do it so well. If you just have to have CG graphics, put that need aside and at least play the demo. 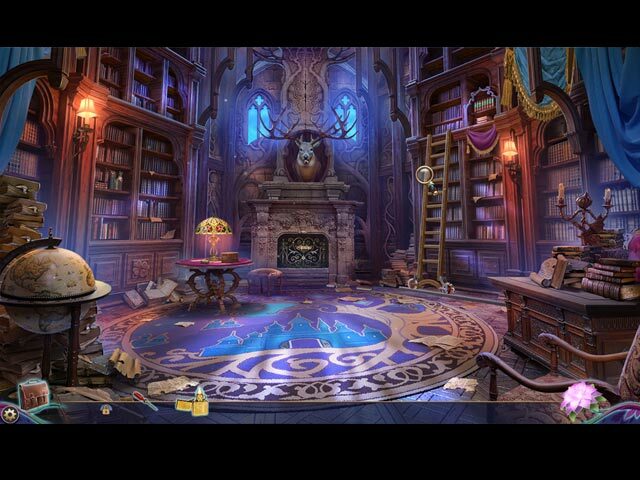 This is a graphically attractive game and, who knows, you might even like it. All of the now-expected optional controls are available, as are the various levels of game difficulty. The interactive map is most useful getting you from one place to another as game-play is, for the most part, intuitive and logical. The music is nice in general and, specific to any particular scene, appropriate. Background sounds and other effects mesh well with the action. The lip-sync is good, and the voice text, tone and inflection are likewise well done. There is a little helper, a sort of animated tree-like creature, but if you don’t want him, you have the option of not accepting him. I found him to be amusing, if for no other reason, while helpful in all of the usual ways, he’s klutz. If you have played League of Light - Wicked Harvest, his personality is very similar to the little scarecrow in that game. The HO sequences are not unique, nor are they a great challenge. Some are interactive, and you do have to think about what you’re trying to achieve to get the next item. The min-games —of which, if you’ve read any of my other reviews, you know I am not a big fan— offer a mild-to-moderate challenge, and even I found one or two to be interesting enough that I didn’t immediately reach for the skip button. Okay, now for the Ho-Hum Report: Once again, the antagonist is female which, if like me you’re a cantankerous old guy, is the reason that I only gave the game a 3-star Fun Factor. Your task is to rescue a guy from the clutches of yet another evil apparitional entity, so there’s nothing new there. Game play was a little too slow for my liking, but not so slow as to make for a boring and laborious experience. That’s pretty much all of that stuff. Overall, I rather enjoyed this not too challenging game but, as usual, my recommendation comes with the caveat that you play the demo and decide for yourself. Rated 3 out of 5 by worlockslady1 from Great game with some problems. Finished the game and was glad it was over. The story was great and the puzzles were good but there were only a few HO's. The biggest thing that destroyed the game for me was a major lag from start to credits! It was a 5 second lag for every 30 seconds of play. It really caused problems with some of the puzzles. I would advise you try the demo before buying the game. Rated 3 out of 5 by weniwanto from It's Okay Great Graphics, relatively easy puzzles. Great for Beginning and Intermediate gamers. Experienced players would find it an amusing past time. I will probably end up adding this game to my collection eventually. I would like to see how it ends. Rated 3 out of 5 by yowzasma from Loved My Little Helper Completed it but found it to be somewhat boring. BUT my little 'helper' was sooo cute that I kept on playing just to watch him :heart: :) As the game progressed it either got better or I just got used to it. The colors and graphics/music/VO's were very good. I'm giving this one a (f) (f) (f) out of possible 5 (f) on my personal enjoy-ability scale and that is mostly for my little helper ;) Played on desktop PC running Win. 10 with a touch of lag here and there. Rated 3 out of 5 by bessiegirl from got real boring Like most games, the demo's appear interesting, however this game got really monotonous after awhile. Go here, pick this up, go there....good grief so very tiring. The transporter map was good but I got tired of using it constantly so just used the hint to navigate around...especially toward the end. Custom setting allows you to set the hint and skip to charge very quickly and it was definitely needed in this game. A lot of HOS, puzzles and DIALOG! Got really tired of that. Instructions were not always clear on puzzles..skipped a lot of these basically because they were tedious and I just wanted the game to get over. It did give you the option of including that annoying "little friend" which was nice. Ending was pretty pale. This may have been a good game if they had not tried to include everything...became very maudlin.